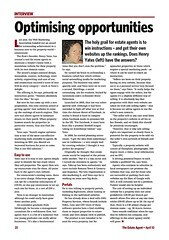 I posted in October that we would be setting up a philanthropic arm to estatecreate.com (not so originally called estatecreate.org). estatecreate.org’s objective will be to get involved with social innovation projects where we can make a difference by providing expertise and resources to help bring new social innovation projects to fruition. Active Free Media (AFM) is an initiative started by Colin Mutchler. AFM aims to enable people to be able to create more awareness for social campaigns and initiatives that they believe in that do not have the financial backing to get their share of voice. I met Colin for breakfast this morning. We had a excellent session and came away with a clear vision of how he will get an initial prototype launched. What a great way to start the day. Social Innovation Camp: Which project will win at the end of the weekend? 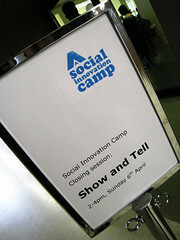 Last week I went to a new meetup called social innovation camp. I came away excited and inspired. I have always liked Google’s .org initiative and have been wanting to get involved in social innovation for a while. Last week’s session provided the inspiration to get me going. I talked to Adrian the next morning, he loved the idea and as a result estatecreate.org has been born. I will post again in a few weeks time once we have crystalised our thinking on how we plan to try and make a difference.